Posted on September 14, 2012	by Gill Phillips - Whose Shoes? I started this guest blog series in May to support Alzheimer’s Society’s Dementia Awareness Week and the government’s Dementia Challenge. Tomorrow is Dementia Awareness Day. We have gathered over 60 high quality “in my shoes” guest blogs from a very wide range of perspectives – stories that tell us what is happening in dementia care across the UK. We have highlighted fantastic projects and breakthroughs, alongside disturbing examples of poor care, battles over funding and safeguarding concerns. We need to make a REAL difference to people living with dementia – not just in the future, but for people like Norman McNamara and the carers who have written so powerfully in our series. Our series was supported by Paul Burstow as Care Minister and we are delighted that he will continue to fly the flag. 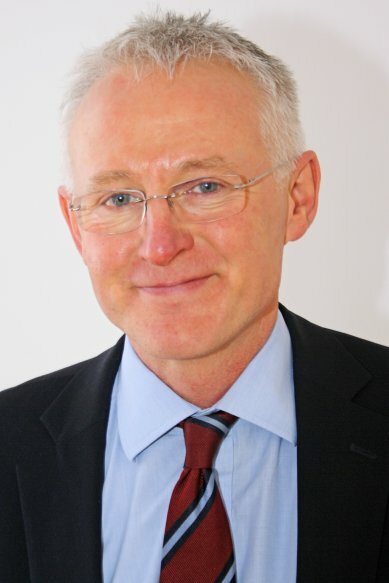 Now, only two weeks into his new role, it is excellent that we have a guest blog from Norman Lamb, Minister of State for Care and Support. I would also like to mention an encouraging speech by Norman Lamb at the King’s Fund as he talks about the importance of integration* in care services. Integrated, personalised care and support services for people living with dementia … how good would that be! It was equally encouraging to find Norman Lamb on Twitter (@normanlamb) which will make it easy for him to follow (and hopefully support!) the #dementiachallengers as we continue to build momentum through the ‘Power of Twitter’. But all the efforts and passion will be in vain without a strong lead from the people we elect to represent us, so a blogpost at this early stage in the new government team is good news indeeed. Whilst I have only been Minister for Care and Support for less than a fortnight, dementia is a subject that I have long been passionate about. For far too long, people with dementia and their carers have not received the care and support they deserve. We are all familiar with the statistics about dementia, but they are simply staggering. There are 670,000 people with dementia in England, 800,000 in the UK and those numbers will double over the next thirty years as the current £19 billion cost spirals. Dementia does not only affect health and social care, it affects all of society and we need to be better prepared to deal with this enormous challenge. Dementia is a priority for the Government and we are working to ensure that it becomes a priority across wider society. Communities, banks, supermarkets, libraries and transport all need to become dementia-aware and dementia-friendly. That’s why, in March this year we published the Prime Minister’s Challenge on Dementia. The Challenge sets out our renewed ambition to go further and faster, building on progress made through the National Dementia Strategy, to secure greater improvements in dementia care and research so that people with dementia, their carers and families get the services and support they need. The aim of the Prime Minister’s Challenge is to seek improvements in three key areas; raising awareness and creating dementia-friendly communities; Improving health and care and securing better research. Three Champion groups have brought together leading organisations, across health, social care, industry and the voluntary sector. The groups are using their networks and influence to support the delivery of the commitments, within the challenge and to get people involved across society as a whole. The Champion groups will report on progress to the Prime Minister, with the first report due in the autumn. There are already signs of progress up and down the country. Hard work is beginning to bear fruit. We are seeing a steady increase in diagnosis rates and we have seen a significant fall in the prescribing of antipsychotics for people with dementia. It will take time to achieve all our aims but we remain committed to dementia and by working with health, social care and wider society we will succeed. *One of my other hats (or indeed shoes!) is to co-manage – with Philippa Codd – a very lively and ‘action-focused’ LinkedIn group with over 2000 members – ‘The personalisation group to integrate social care, health and housing’. 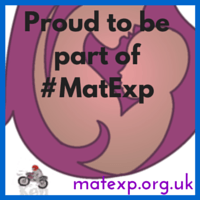 This entry was posted in Blogs, co-production, community engagement, dementia, education, Guest blog, health, in my shoes, personalisation, public sector, safeguarding, social care, social media, TLAP - Making It Real, well-being and tagged Alzheimer's, carers, choice, choice and control, Compassion, dementia, dementia awareness day, dementia challenge, dementia challengers, dementia friendly, dignity, early onset dementia, elderly, empathy, health, make a difference, older people, outcomes, person-centred, personalisation, relationships, respect, social care, Think Local Act Personal. Bookmark the permalink. This is an extremely welcome statement by Norman Lamb, and thank you Gill for tirelessly campaigning for this. Very best wishes for furthering this arm of policy. I am currently a book looking at detail at the very practical research programmes of leading authorities. I can be followed on @dementialives, but you may also find my website on wellbeing useful (http://www.wellbeing-dementia.org). Here, you’ll find, easily arranged, interesting articles, I hope, on UK policy, assistive technology and telecare, cognitive neurorehabilitation, cognition and contexts, advance care planning and end-of-life care, the definition of quality-of-life and wellbeing, the socio-economic rationale, home, balcony and garden design, ambient technologies, and patient-centred care. I myself am devoted to this subject, having done my doctorate on dementia at Cambridge, and having also worked at both the National Hospital for Neurology and Neurosurgery and Institute of Neurology, Queen Square. As I am physically disabled, I am especially interested in accessibility, inclusivity and sustainability. Pingback: Round up of “In my shoes” – Dementia Awareness, Week 12 | Whose Shoes?